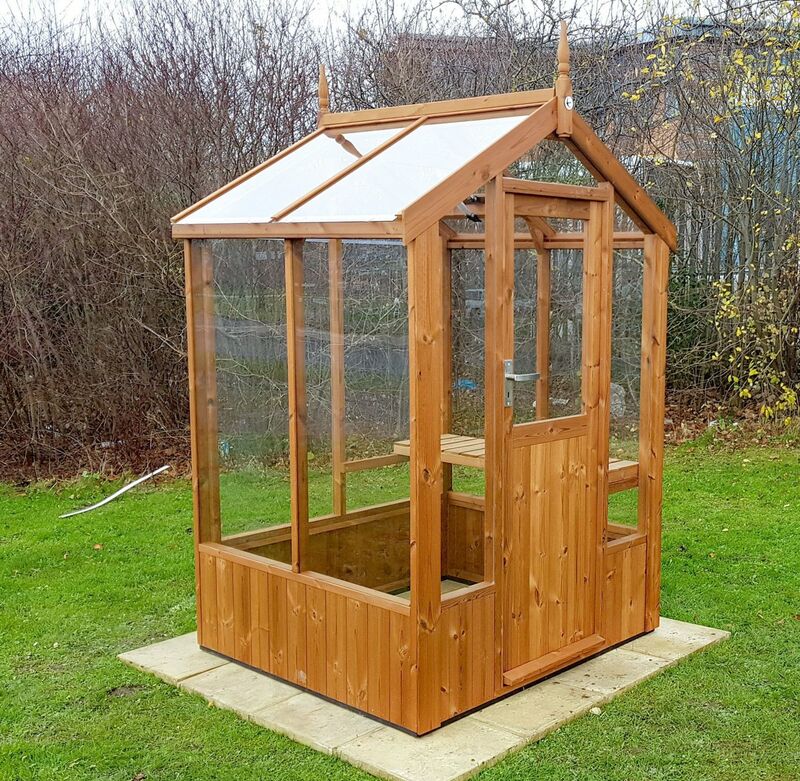 The Swallow Lark Greenhouse is the all new 4ft wide wooden greenhouse. It’s easy to see why when you look at the specification. The Lark is constructed here in the UK, Rotherham to be precise, by skilled carpenters and joiners. Swallow Lark Greenhouses are made from Scandinavian ThermoWood®. This new high tech timber is specially heat treated up to 215 °C to remove excess moisture and resin, preventing warping and protecting from rot and giving an expected 50 years life!! Standard features on the Lark include Toughened Glass, automatic roof vents, full length staging and an inward opening door with a mortise lock and stainless steel handle. Choose from various options such as a side vent, ornate door handles or even a shed attachment to customize your Lark. Possibly the best feature though is that each Swallow Lark Greenhouse includes installation in your garden! 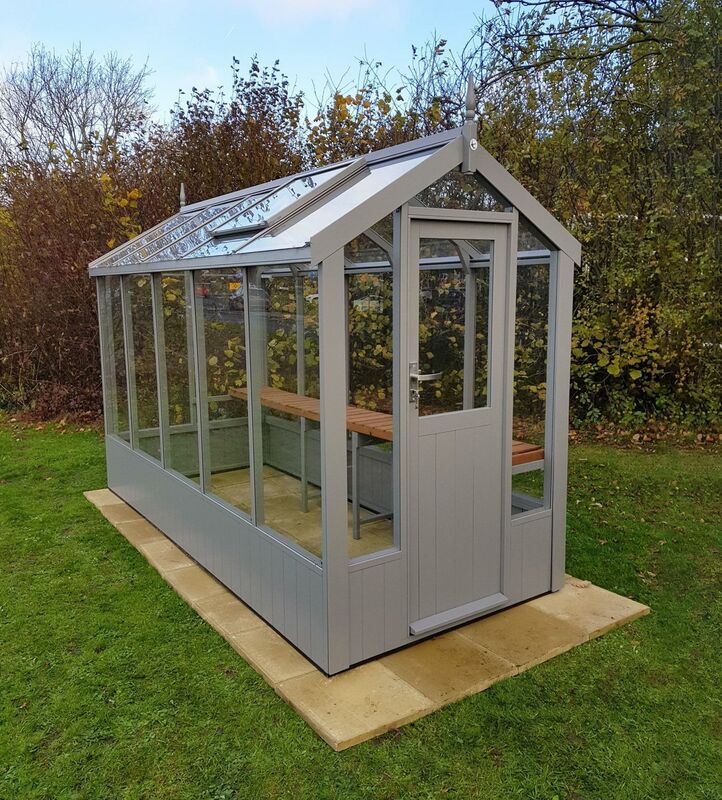 Just order and within 28 working days the greenhouse will be standing in your garden and you won’t have to lift a finger!